Welcome to Kennedy School PTA Ltd! All families at Kennedy are members of our PTA and the school community. The PTA is an integral part of life at Kennedy School, and is committed to working in close partnership with parents and the school. To carry out such other activities as the members of the Association may decide in furtherance of the Association’s charitable aim. In accordance with the ESF Ordinance, it is compulsory for all parents to be members of the PTA of their child’s school. Fees are due at the start of the academic year. We hope that all of our parents will join us in working to support the school for the benefit of all our students. All Kennedy School students benefit from the PTA’s activities, and your participation is vital to the ongoing enhancement of your child’s education. We look forward to, and appreciate, your continued support. All contributions to the PTA are most welcome and parents can do this in different ways. Some give their time freely, others make monetary donations, some donate raffle prizes while others help out as and when they can. (When help is needed for specific events this will be noted in the weekly newsletter). All are very important and benefit the students of Kennedy School. School buses: the PTA runs a non-fund raising school bus service. We endeavour to serve the school catchment area where viable. Uniform: the PTA maintains a uniform shop on the school premises which is open daily. Donations to school: our donations are targeted to provide items identified by the teaching staff which are not covered by the curriculum which they feel would be beneficial for the students. Personal Information Collection Statement: Please note that all information collected by the PTA is done so in accordance with the Personal Information Collection Statement. 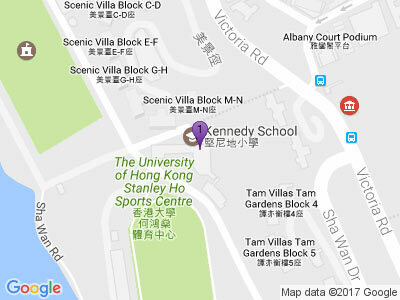 The PTA runs a bus service for students serving the catchment area (where viable) of Kennedy School. This is a non-fund raising service run for the benefit of the bus users. Buses are fitted with seat belts for the children’s safety, and have a Bus Mother who maintains an accurate register, and looks after the children on the bus. Bus fees are payable in advance. The level of fees depends on whether a stop is termed ‘short route’ or ‘long route’. You can choose to pay by term, or for the whole year. See ‘Inclement Weather Procedures’. This gives clear advice on what happens, and what to do, in the event of school closure whilst in session due to an upgrading of the typhoon signal. Advice is also given on the procedures in place for amber / red and black rainstorm warnings. Kennedy School has a smart and practical school uniform which all students are required to wear. Non uniform items may not be worn, and any vests/t-shirts worn underneath uniform must not be visible. If you cannot come to the uniform shop during the opening hours, just download the order form, and you can send in your order with your child. Trainers [not slip on plimsolls] PE kit is worn to school instead of uniform on PE days. The PTA receives commission from ‘Stuck on You’ when you order. Order forms are available from the PTA. There are 900 children in the school, items get lost every day – increase the chance of getting it back by naming everything. Newsletters are sent by e-mail. To receive a newsletter you must opt in on Gateway to receive e-mails with direct marketing components. If you have not been receiving the newsletter and would like to, please log on to Gateway and select change request from the admin menu. The events that we organise at Kennedy aim to raise funds to support the school, while at the same time building on our strong sense of community.